By using this website, we collect analytical data to help us understand and improve our website. This data is via web analytic tools (such as Google Analytics) and captures location (country and city/town/region – not to your specific address), browser type (i.e.’ Internet Explorer, Safari, Firefox), device type (i.e. ; laptop, tablet) as well as other metrics such as pages visited, time spent. At this stage, no persona data is captures. If you make an order. If you sign-up to our database for marketing purposes. Such data capture is voluntary and we respect each customer’s privacy. Data is stored on our system which cannot be accessed without relevant passwords of which the Managing Director has control. Customers giving consent to us communicating with them for marketing purposes have the right to be forgotten at any given time. Upon contacting us in writing or verbally, we will remove their details from our database in full within 48 hours. Records will not be suppressed, but deleted from our systems. 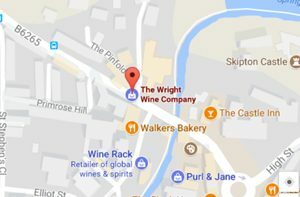 Data is processed at our premises at The Old Smithy, Skipton – and on secure software platforms which we may use for marketing activity. Data relating to customers for transitional purposes is stored separately. This information is kept for accounting and auditing processes and if requested, will be deleted at the end of an appropriate accounting period. Data is processed at our premises at The Old Smithy, Skipton – and on secure software platforms which we may use for accounting activity. The Data is processed at the our operating offices and in any other places where the parties involved in the processing are located.